[S1261] Allan Raymond, "re: Max Leopold Hohenlohe-Langenburg," e-mail message to QVD Project Mailing List, 24 March 2005. Hereinafter cited as "re: Max Leopold Hohenlohe-Langenburg." [S12] C. Arnold McNaughton, The Book of Kings: A Royal Genealogy, in 3 volumes (London, U.K.: Garnstone Press, 1973), volume 1, page 291. Hereinafter cited as The Book of Kings. [S7545] Unknown author, Almanach de Gotha (n.p. : n.pub., 2014), page 375. Hereinafter cited as Almanach de Gotha. [S16] Jirí Louda and Michael MacLagan, Lines of Succession: Heraldry of the Royal Families of Europe, 2nd edition (London, U.K.: Little, Brown and Company, 1999), table 103. Hereinafter cited as Lines of Succession. He was also known as Peter Gottfried Schindack. Iris Hildegard Sophie Margit Gisela Prinzessin von Sachsen was born on 21 September 1955 at Mülheim, GermanyG.1 She is the daughter of Georg Timo Michael Nikolaus Maria Prinz von Sachsen and Margrit Lucas.1 She married, firstly, Jurgen Hadam on 21 March 1975 at Mulheim, Germany.2 She married Wolfgang Konig on 20 May 1977 at Essen-Borbeck, Germany, in a civil marriage.2 She and Wolfgang Konig were divorced in 1983.2 She married, thirdly, Ulrich Schumacher on 8 August 1988 at Hachenburg, Germany.2 She and Ulrich Schumacher were divorced in 1989.2 She married, fourthly, Wolfgang Döhring on 11 November 1996 at Sonsbeck, Germany.2 Iris Hildegard Sophie Margit Gisela and Wolfgang were also married in a religious ceremony on 22 July 1977 at Mülheim, GermanyG. [S7545] Unknown author, Almanach de Gotha (n.p. : n.pub., 2014), page 376. Hereinafter cited as Almanach de Gotha. Georg I Friedrich August Georg König von Sachsen was born on 8 August 1832 at Pillnitz, GermanyG. He was the son of Johann I König von Sachsen and Amalie Auguste Prinzessin von Bayern.3 He married Maria Ana de Bragança e Saxe-Coburgo-Gotha, Infanta de Portugal, daughter of Ferdinand II August Prinz von Sachsen-Coburg-Saalfeld and Maria da Glória de Bragança, Rainha de Portugal, on 11 May 1859 at Lisbon, PortugalG. 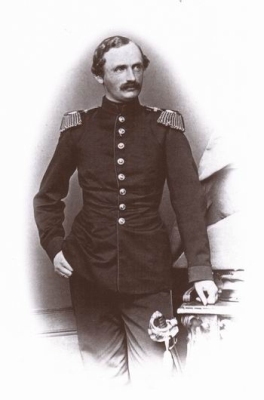 He died on 15 October 1904 at age 72 at Pillnitz, GermanyG. [S16] Jirí Louda and Michael MacLagan, Lines of Succession: Heraldry of the Royal Families of Europe, 2nd edition (London, U.K.: Little, Brown and Company, 1999), table 102. Hereinafter cited as Lines of Succession. [S38] John Morby, Dynasties of the World: a chronological and genealogical handbook (Oxford, Oxfordshire, U.K.: Oxford University Press, 1989), page 138. Hereinafter cited as Dynasties of the World. [S16] Louda and MacLagan, Lines of Succession, table 103. Maria Immaculee di Borbone, Principessa di Borbone delle Due Sicilie was born on 30 October 1874 at Cannes, FranceG.1 She was the daughter of Alfonso Maria Guiseppe di Borbone, Principe di Borbone delle Due Sicilie and Maria Antoinetta Guiseppa di Borbone, Principessa delle Due Sicilie.1 She married Johann Georg Prinz von Sachsen, son of Georg I Friedrich August Georg König von Sachsen and Maria Ana de Bragança e Saxe-Coburgo-Gotha, Infanta de Portugal, on 30 October 1906 at Cannes, FranceG.1 She died on 28 November 1906 at age 32 at Muri, SwitzerlandG.1 She was also reported to have died on 28 November 1947. She gained the title of Principessa Maria Immaculee di Borbone delle Due Sicilie (styled as Princess of the Two Sicilies). [S12] C. Arnold McNaughton, The Book of Kings, volume 1, page 437. [S12] C. Arnold McNaughton, The Book of Kings, volume 1, page 435. [S16] Jirí Louda and Michael MacLagan, Lines of Succession: Heraldry of the Royal Families of Europe, 2nd edition (London, U.K.: Little, Brown and Company, 1999), table 53. Hereinafter cited as Lines of Succession. [S12] C. Arnold McNaughton, The Book of Kings, volume 1, page 366. [S12] C. Arnold McNaughton, The Book of Kings, volume 1, page 438.